The following is a guest post by Michael Ng from StakeWith.Us. As a Staking-as-a-Service provider, StakeWith.Us does deep research into segments that will enhance the security of our validation setup. We envisage that best practices for security and good uptime will eventually be commoditized — which is why we have decided to publish some of our findings from time to time to bring forth higher standards across all staking service providers. For today, we will be touching on the kind of policies a validator should set for their Hardware Security Module (HSM), specifically the YubiHSM2, a physical cryptographic device, which is integral to a validation setup. Left: What the HSM looks like on the Yubico website; Right: What it actually looks like, to scale… HSMs might be small but they certainly pack a punch — or two! In short, HSMs are affordable, performant and portable pieces of hardware that help to securely generate, store and manage your private keys. Malware attacks and remote extraction of private keys are much more difficult when an HSM is configured properly. Even if the tokens are locked and bonded, the attacker can unbond your validator stake, which will also result in unbonding of delegators’ stakes. The default authentication key 0x0001 (default keyId: 0x0001, default password: password) is known as the Super-User. It has all capabilities and all delegated capabilities across all domains — Think of it as the one key to rule them all (or for Marvel fans, the Infinity Gauntlet). As such, it is crucial that secure HSM policies are in place to minimize security lapses. Wrap key: A (secret) key used to decrypt/encrypt data and export asymmetric keys under encryption. Using the Super-User, you are able to give keys new properties (new superpowers!) which allows them to perform certain actions directly. For example, you can give the ed25519 type asymmetric key a capability ‘sign-eddsa’ to perform the sign-eddsa action directly. Delegated capabilities are properties that are derived from the creation of new keys. For example, you can have an authentication key A that has capability ‘put-asymmetric-key’, which allows you to import an asymmetric key with delegated capabilities, ‘sign-eddsa’. This means that you can use key A to create an asymmetric key B that has the abilities to carry out actions that key A couldn’t do. Hence, we have to keep in mind that the effective capabilities of a key is dependent on both its capabilities and delegated capabilities. The most secure way to backup or transfer a private key is to export the private key under wrap for signing. The private key should minimally be wrapped 2 out of 3 (or m out of n) times. wrapping the key again using another wrap key B.
all operations will be done within the HSM itself. Roles should be created as you deem fit to cover specific sets of responsibilities, such as importing of secrets/keys, using the secrets/keys or reset/recovery of device, etc. The effective capabilities and domain of each role are required to be set clearly. Once the roles are designed and created, they should be tested to ensure they perform all required range of operations. Remember the Super-User we mentioned earlier? Just like the Infinity Gauntlet, you have to delete the default authentication key (yes, it can delete itself) to ensure there is absolutely nothing that can mess around and bypass your roles configuration (see the Setting up New Keys section on how to delete the Super-User). Notice that none of the roles are able to export a private key. Only the Signer can sign transactions, even though the Importer creates the key the Signer uses. For more information on commands, visit the YubiHSM2 developer portal here. Assume that all session_id is 0. A blank device will only have the original authentication key 0x0001. You should end up with 3 wrap keys generated from 3 unique seeds. It will return <exported_asymmetric_key_under_wrap> in hex form. Thereafter, create the suggested roles — Importer, Signer and Resetter — and test them. You should get a message stating ‘Object imported as 0x0000’ of type asymmetric-key’. 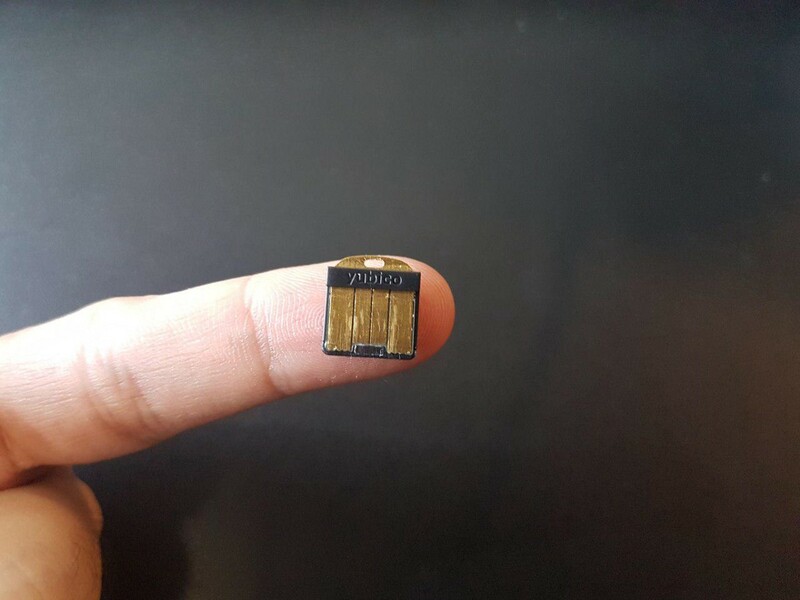 There you go, your validator key. Warning: Resetting the device will clear all authentication keys, wrap keys, asymmetric keys from the device, and is irreversible. The HSM needs to be physically pulled out and rebooted in order to use it again, so please plan ahead. The reset HSM will have the default username and password (1: password) with all the Super-User privileges. We hope that this article has been helpful in assisting validators to setup their HSM policies and for delegators to understand the importance of HSM in a validation setup. Though delegation is non-custodial, the slashing and security risks involved in securing a network means that delegators have to trust that their chosen validators have setups which are secure and highly available. The StakeWith.Us team will continue to do deep research and share our findings with the wider community. We will also continue to bootstrap high quality blockchain networks like Loom Network and Cosmos Network — for the potential delegators out there: please come and StakeWith.Us! To our existing delegators — thank you for your support thus far. We really appreciate having you on this journey! Disclaimer: This article is made available for educational purposes only, to give you general information and understanding on how HSM works. 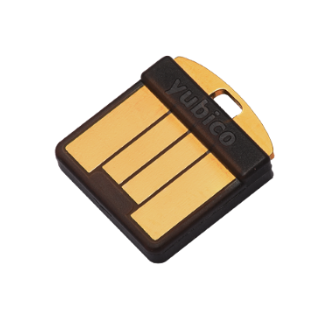 You should always check the online documentation provided by Yubico. By using this guide you understand that you are liable for all actions and losses resulting from the setup and usage of your HSM. MW Partners is an early stage investment firm focused on Blockchain-enabled projects. Follow MW Partners on Twitter. StakeWith.Us is a secure Staking-as-a-Service provider for leading blockchain projects. Put Your Crypto to Work — Hassle Free. We are currently preparing a simple dashboard for Loom Network that is free for everyone to use. To get more updates on our validation updates, please follow StakeWith.Us on Twitter, Telegram and Medium. If you are interested to join our WeChat group, kindly approach gobigordietrying or mcry89 on WeChat. you are looking into investment and partnership opportunities with StakeWith.Us. Special thanks to Oliver Wee for the research on HSM and for drafting this article together! Thanks to Oliver Wee and Robert H.
Co-Founder @MWPartners and @StakeWithUs. Find me on twitter @maigoh91 . I try to learn new things everyday.